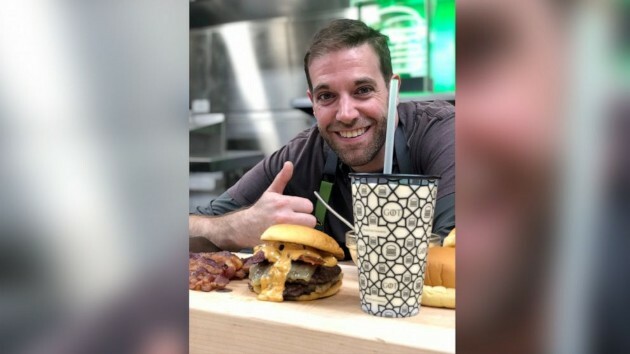 ABC News(NEW YORK) — Shake Shack unveiled its new Game of Thrones menu ahead of the highly-anticipated eighth and final season of the hit show and culinary director Mark Rosati gave ABC News’ Good Morning America an exclusive sneak peek at how the spicy new burger and icy milkshake are made. When thinking about what Thrones fans want out of a Shake Shack burger, Rosati told GMA he tapped into the heart of the show — the mother of dragons and white walkers. The Dracarys Burger, or Drakaro Parkliapos as it’s called in Valyrian, is made with two locally sourced all-beef patties, Monterey Jack cheese, double smoked Niman Ranch bacon and smothered in a serious spread of spicy ShackSauce, all piled on a perfectly toasted potato bun. For the show-inspired shake, Rosati channeled another mystical element from the series — Dragonglass — which is one of the only known things that can kill the dreaded White Walkers. “It’s a minted white chocolate shake, we thought of the White Walkers, and we top it with our house-made dragonglass,” he said. “What’s cool about this shake is as the shards of dragonglass starts to melt in you see it bleed into the white shake,” he said of the marbling effect. The culinary director said they kept with the company’s commitment to premium ingredients and thoughtful sourcing to create the Dragonglass Shake (aka Zīrtom Perzomy Rholītsos for any die hard Valyrian’s reading this). The specialty shake will be available through May 19 at Shake Shacks nationwide, while the Dothraki delicacy will be available through April 21 while supplies last across New York, Los Angeles, Chicago, Dallas, Houston, D.C., Miami, Las Vegas, Denver, Philadelphia and Boston.